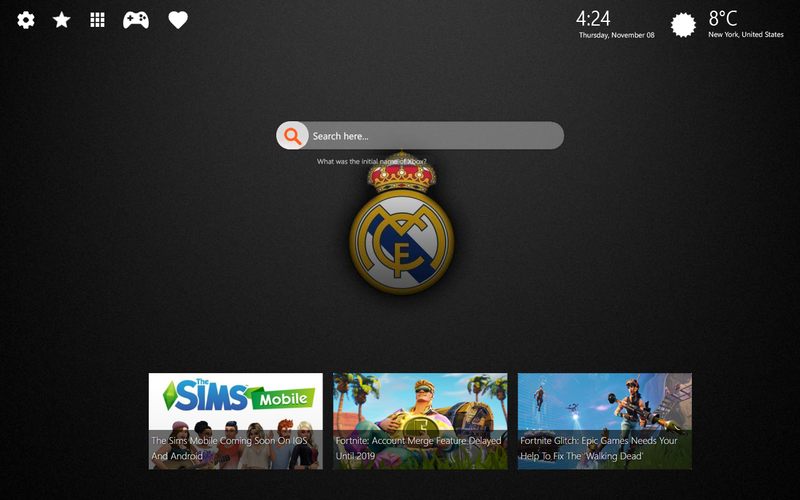 Dear Real Madrid fans, here is our new Real Madrid CF HD New Tab Themes extension. Download and install it to get a variety of high quality wallpapers of Real Madrid logo and its players. Moreover, it includes many more cool features so you can enjoy using this extension even more. Real Madrid Club de Fútbol which stands for “Royal Madrid Football Club” is a professional football club which takes place at Madrid, Spain. 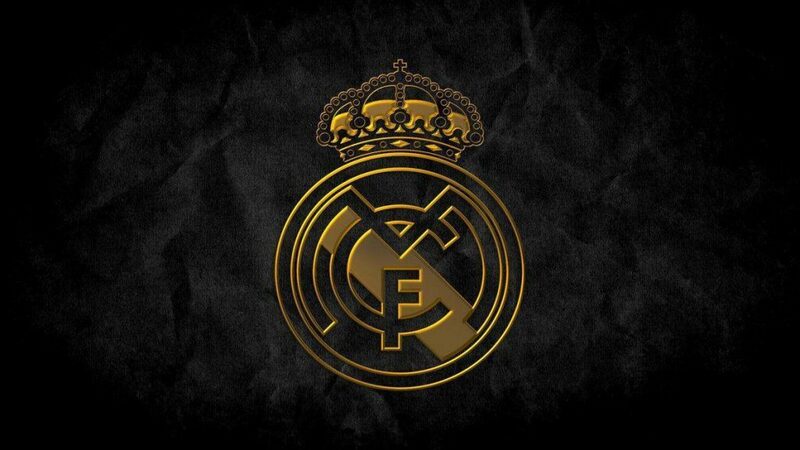 Real Madrid was found on 6 March 1902 as the Madrid Football Club. Since then, the club traditionally wears a white home kit. The team plays its home matches at Santiago Bernabéu Stadium in Madrid which is one of the world’s most popular football venues. Moreover, it has seating capacity of 81, 044. Real Madrid holds the record for winning La Liga 33 times. Moreover, the club holds another record for winning UEFA Champions League 13 times which makes it one of the biggest clubs in the world. Some of the world’s best football players played in Real Madrid, including Figo, Zidane, Ronaldo, Casillas and many more. Also, the club represents one of the most widely supported teams in the world. Furthermore, FIFA named Real Madrid C.F. the ‘Most Successful and Best Football Club of the 20th Century’. The club’s estimated worth is €3.47 billion ($4.1 billion) in 2018. Furthermore, it represented the second highest-earning football club in the world, during 2016–17 season. Along with Athletic Bilbao and Barcelona, Real Madrid stands for one of three founding members of La Liga. These clubs that have never been relegated from the top flight since its inception in 1929. The biggest rivalries are El Clásico with Barcelona, and El Derbi – with Atlético Madrid. -Because of the international success that the team was having, King Alfonso XII added the word “real” in front of the club’s name in 1920. It means “royal”, therefore, the crown emblem on the shield appears on the logo after amendment of this new name. -During turbulent and problematic years of the Spanish Civil War, the word real and the crown on the shield were removed.Today, the purple band is on the logo, and real name and emblem reappeared after the end of the war. -People believe that Real Madrid C.F. wears white uniforms because of the boys who practiced in their white undershirts. This is the most popular legend and story which connects to the grassroots of soccer in Spain. -There is another Real Madrid club – Real Madrid South Africa. It is a semi-professional football club from Galeshewe, in the Northern Cape area of South Africa. The original name of this club is Ipogeng Stars. but in 1989, the president of the club changed the name of the team to Real Madrid because he is a big fan. -The new Santiago Bernabéu stadium is coming. It will be exactly 12 meters larger than the current stadium. Moreover, it will include retractable roof that will cover the entire new stadium. Many cool features are able in this Real Madrid CF HD New Tab Themes extension, therefore, enriching your browsing experience and filling your day even more! With our Real Madrid CF HD New Tab Themes extension besides many different HD wallpapers, you can also enjoy many features which we added to make your experience even better. Real Madrid CF Wallpapers extension provides you with a local time option wherever you are. Moreover, it is accurate, so your weather will match with your current destination. 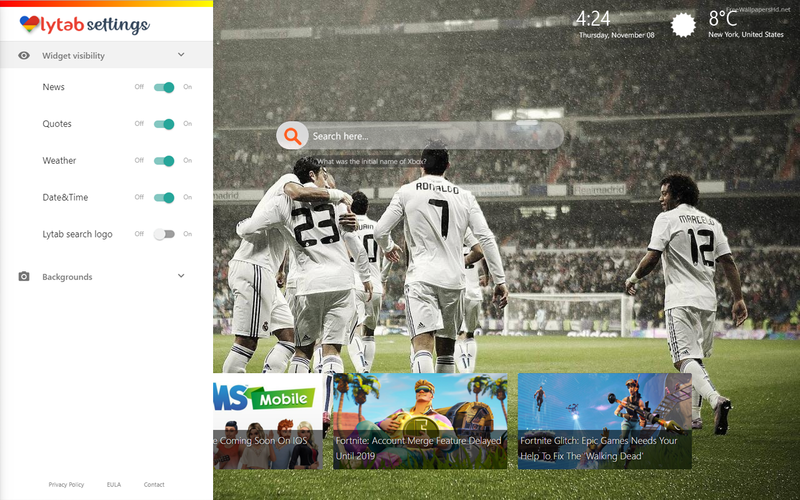 We present you the option to bookmark your favorite websites, stores or whatever with the bookmark option provided by Real Madrid CF Wallpapers and New Tab Themes extension. Therefore, you can also quickly access to recently seen websites with one click. Get inspiration every day, because Real Madrid CF Wallpapers and New Tab Themes extension provides inspiring quotes and amazing facts every time you open a new tab. 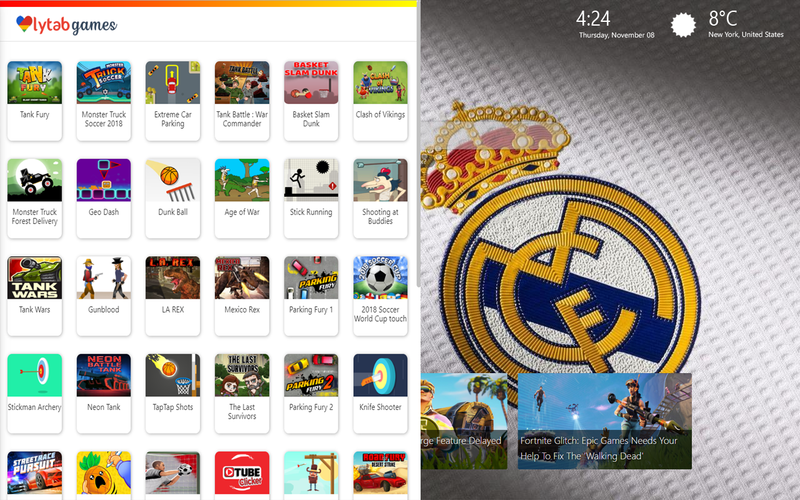 Real Madrid CF HD New Tab Themes extension has many, many games you can play for free while you are browsing. This extension is pretty simple to install and you can always install it again. Install Real Madrid CF HD New Tab Themes extension by clicking on Add to Chrome button which will add it to your Chrome browser automatically. You can customize it according to your needs. This app is made for Real Madrid CF and football fans, and it is unofficial. The content in this app is not affiliated with, endorsed, sponsored, or specifically approved by any company. All copyright and trademarks are owned by their respective owners. The images in this application are collected from around the web, if we are in breach of copyright, please let us know and it will be removed as soon as possible. Fast and Furious Facts and Quotes + Wallpapers!